A few weeks back I announced that I was getting to guest-design for Art Jewelry Elements (AJE). Each month AJE reveals a 'component of the month' that's made by one of their own designers. This component is then sent out to the members of their design team and a few other randomly-selected designers. By luck of the draw, I was once again selected to participate. (I say once again as I also got to participate in the AJE CoM challenge back in August.) Here's a reminder of the component Jennifer Davies-Reazor designed and sent to me this month. 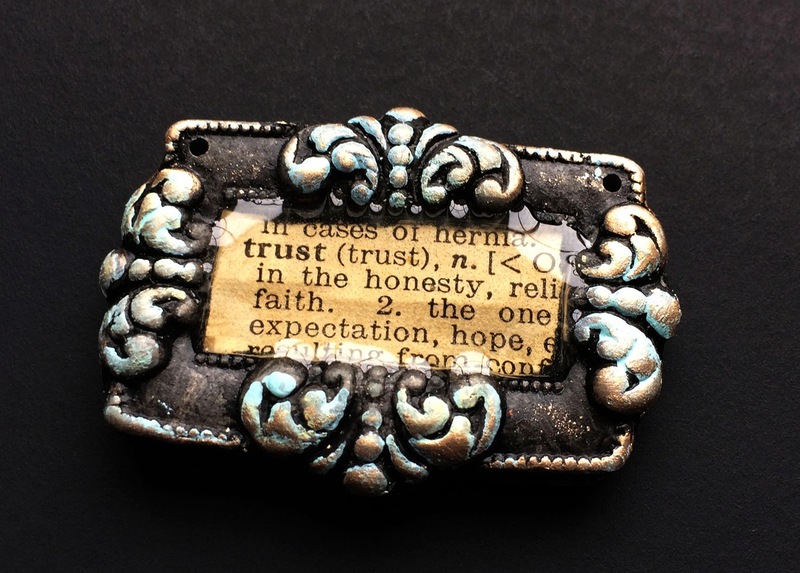 I was blown away by Jenny's use of the polymer clay, resin, and dictionary text to create this amazing focal. It rendered me speechless. Actually, it rendered me design-less. I was baffled as to what I could add that would compliment without taking away from it. It seriously took me almost all month to design my contribution. I thought and pondered and dreamed and fiddled with it for WEEKS! In the end, I should have done as the pendant suggested and remembered to TRUST in myself. I kept seeing dangles in my head, perfectly shaped dangles. But I didn't have anything like what I envisioned on hand. I found some fiingychain at Hobby Lobby and altered the dangles that hung from it. All in all, I really like the the piece. It was such fun to get to play along with the other AJE designers. Thanks for the opportunity and the trust you put in me. Now, head over to the Art Jewelry Elements blog and check out how everyone else used their Component of the Month. Great job! it is a great design. Thanks Kathy! It was a challenge, but I really loved designing with this piece. When I saw this component, I loved it and was really excited to see what everyone had done with it. You did not disappoint! This necklace is really beautiful. Can't wait to read your tutorials! Ann- Isn't it a fabulous focal? I'm looking forward to seeing what everyone else has made as well. Thank you so much for your kind words. 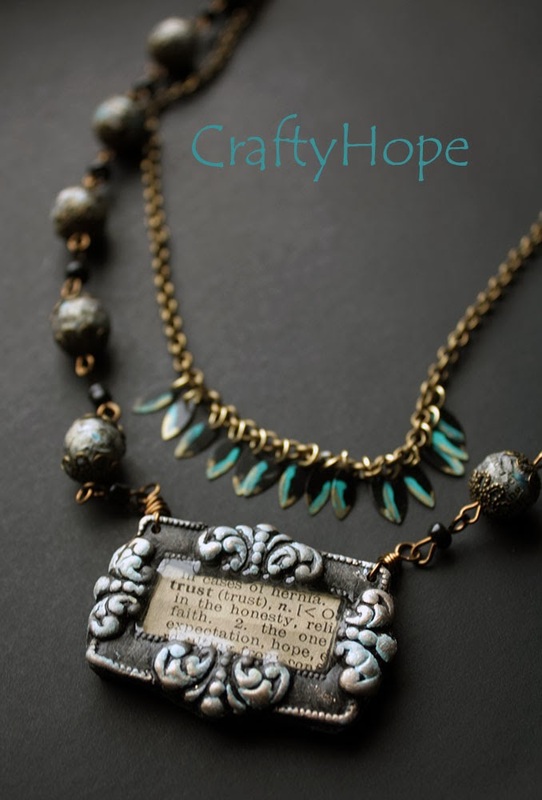 Hope~this necklace is absolutely perfect! All the pieces look like they just fell into place, knew where to go, and are at home together. Sounds like it wasn't that easy, but the end result is easy on the eyes and it's so. Beautiful. I really like how you added the subtle color to that chain to pick up the hints of teal or turquoise Jenny added to the pendant. Very nice job! I look forward to seeing how you added words to your wooden beads and hopefully get a closer look at them! Sarajo- OH! I'm so glad you can see that bit of color. I was worried it got lost in the photos. Thank you so much! I appreciate you taking the time to swing by and see my contribution. That is an absolutely beautiful design! Wow. Beautiful balance and design - love it!! Hope, this is absolutely gorgeous! 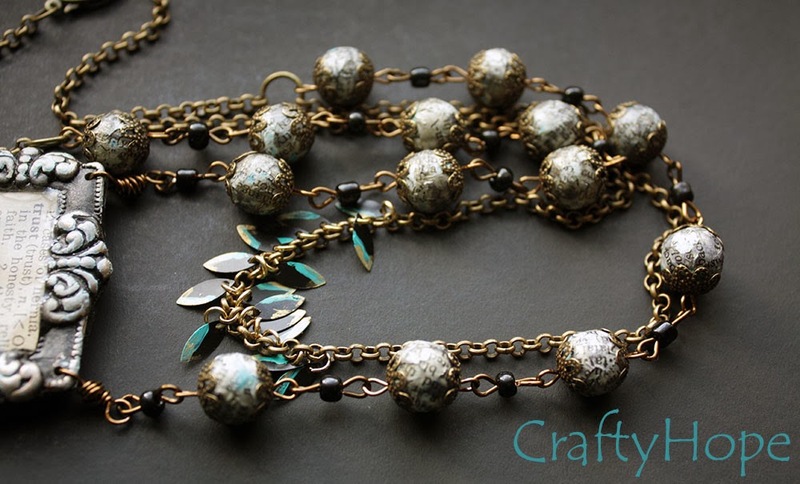 It is fun to see your jewelry work evolve!! Thank you so much, Melissa. That means a lot coming from you. Evolution is my goal. I hope to just keep finding my style and making it work. It's a fun process. I love your design, Hope! It is perfectly balanced and striking! Linda! Thank you so very much. I did struggle with this but am pleased that it all came together in the end! I loved this piece at first glance. 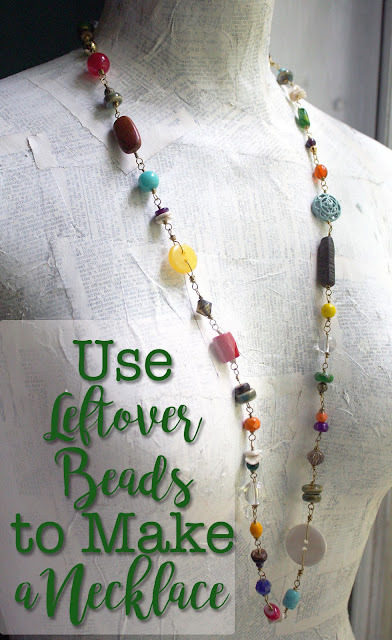 But then when I read about how you made text beads and altered the dangles, I love it more. Funny thing is I was considering something similar with dangles in a shorter strand similar to what you did, but couldn't decide what to use. Now I'm glad I didn't. GORGEOUS! Thanks for reading AJE and participating in the challenge. Hi Hope. Great job on your necklace. The dangles really draw the eye to the beautiful focal. 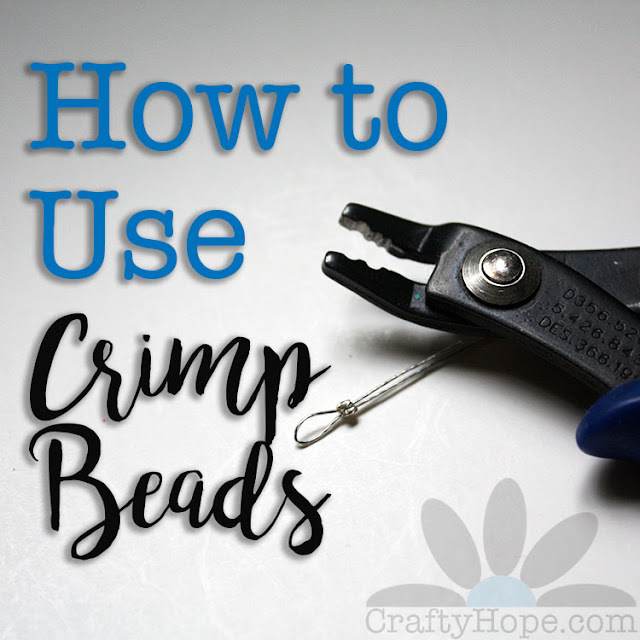 I would be interested in seeing how you made your word beads. Hope...holy smokes but I covet that! Jennifer- Of course it spoke to me, how could it not!? You created some amazing pieces, and it looks like we all in the challenge were inspired by what these little treasures had to say. I'm just so glad I got the chance to join in on this! Thank YOU! Fantastic design! I love that this could be worn with a simple top and it fancies it up! I'd rock this necklace all the time. Diana- Thank you!! You are so right. I wore the necklace yesterday and felt a little extra-special-fancy all day! :) I appreciate you taking the time to pop by! The time you spent was well worth it - it is beautiful! I am looking forward to the tutorial on how you added text to the wood beads! I just love this necklace! It is so well balanced and just flows together. But now I want a closer look at the word beads..lol. So elegant! 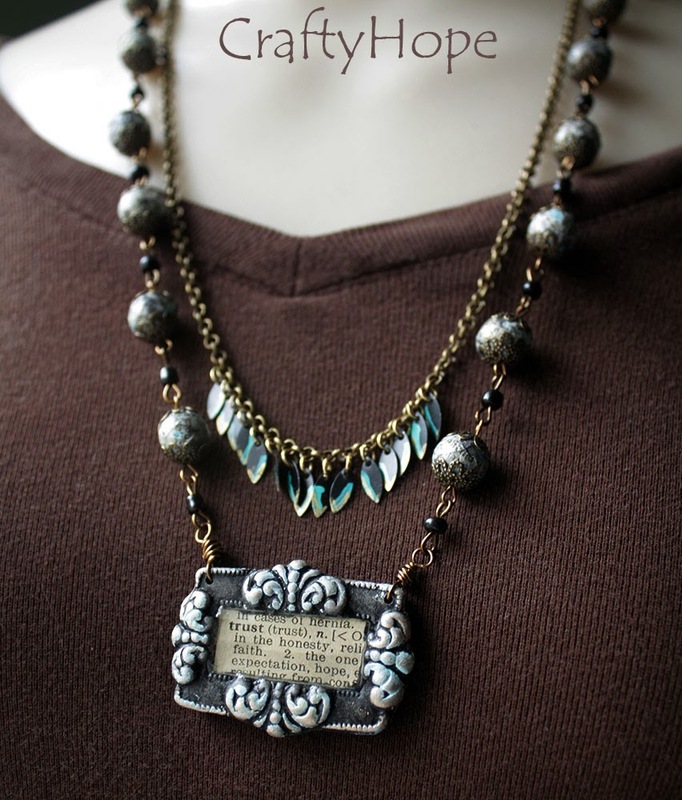 Your word-decoupaged beads are a perfect addition to the focal (awesome! ), and the beadcaps look like they were made to go with it. The little fringes add a delicate element with a feeling of movement. Well done! I love the colours you've chosen, it all fits together perfectly! Caroline- Thank you! I simply let the colors I saw in the focal lead me. I actually kept trying to add more color (as I do love me some color), but the elegance of the piece kept steering me back to a simple palette. I think it was the right move. Thanks again. 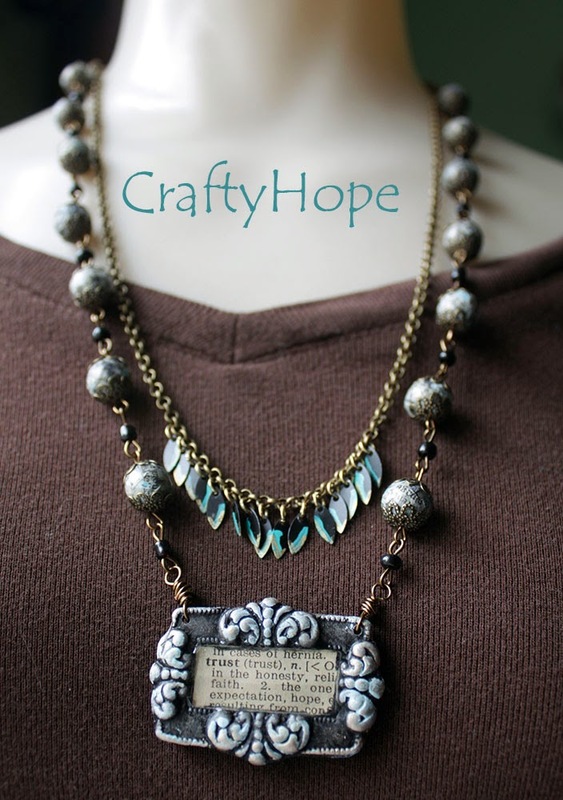 Wonderful Necklace Hope, I love the inner chain with those cute little dangles such a lovely touch. So creative!!! Kristi- Thanks! I'm so glad I found and was able to get the dangles in there. I actually had many more altered that I could have added, but I think that could have taken the whole thing to a level of hoochie that I didn't want. Ha. Thank you so much for your sweet words. I appreciate them more than you know. So pretty Hope! The fringe accent is perfect and nicely brings out the hints of blue in the focal. And what a super idea for the word beads! I might have to put down my polymer for a bit when your tutorial comes out. ;-) Isn't it so true when you really follow what a bead is "meant" for that the design always turns out so wonderfully? You nailed this one! 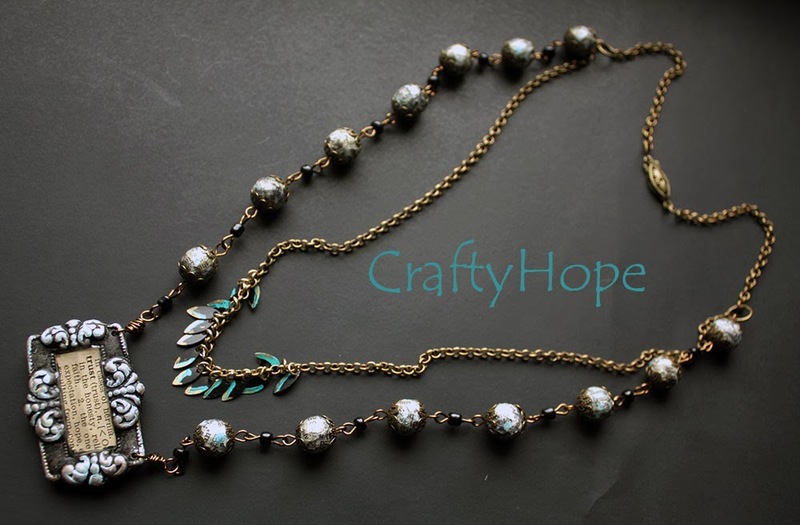 Lovely design Hope - I love the double strand effect.